Due to road closures, the library will close at 5pm on 4/15/19. Get a Reading Buddy for your child! Children will read out loud to their Reading Buddy to get experience reading and to improve their reading skills. Studies show reading for about 20 minutes each day will improve your child's skills, especially if they read to someone! Reading Buddies are high school students. Please note, this program is for children to read out loud to their buddy. Reading Buddies will not be reading to your child. If your child is not reading on their own yet, we would recommend attending one of the library's many story times. Sign up for either the 6:30pm, 7:00pm or 7:30pm time slot. Registration signs you up for the entire month. If you cannot make it to your tutoring appointment, please notify the library in advance at (732) 671-3700 ext. 340. Do not cancel through the online registration system as this will cancel all of your appointments for the month. us your favorite films or any projects you’ve been working on! Movie: The Favourite (2018, Rated R)- In early 18th century England, a frail Queen Anne occupies the throne and her close friend, Lady Sarah, governs the country in her stead. When a new servant, Abigail, arrives, her charm endears her to Sarah. Explore, predict, tinker & make. Celebrate Earth Day in a very special Maker Event! *Please note the minimum age for this program is 7. Adult supervision required for any small children accompanying the attendee as there may be choking hazards. PLEASE NOTE: Attendee must be between the grades of 6 and 12. Need help with Math? Sign up for a free tutor on Monday nights at the library in the Children's Quiet Reading Area. Bring your math work with you, textbook and/or homework. Tutors are high school honor students. Tutoring is for students in grades K-12 only. Each tutoring session is 30 minutes long, sessions are at 6:30, 7:00, and 7:30. This time slot is 6:30-7:00pm. Registration signs you up for the entire month. If you cannot make it to your tutoring appointment, please notify the library in advance at (732) 671-3700 ext. 340. Do not cancel through the online registration system as this will cancel all of your appointments for the month. **You must give notice if you are not going to make a tutoring session. If you have two unexcused absences, you will be removed from the tutoring registration list. This is a very popular program and many students wish to be tutored. Need help with Math? Sign up for a free tutor on Monday nights at the library in the Children's Quiet Reading Area. Bring your math work with you, textbook and/or homework. Tutors are high school honor students. Tutoring is for students in grades K-12 only. Each tutoring session is 30 minutes long, sessions are at 6:30, 7:00, and 7:30. This time slot is 7:00-7:30pm. Registration signs you up for the entire month. If you cannot make it to your tutoring appointment, please notify the library in advance at (732) 671-3700 ext. 340. Do not cancel through the online registration system as this will cancel all of your appointments for the month. A free peer led support group for people who are actively looking for work. Need help with Math? Sign up for a free tutor on Monday nights at the library in the Children's Quiet Reading Area. Bring your math work with you, textbook and/or homework. Tutors are high school honor students. Tutoring is for students in grades K-12 only. Each tutoring session is 30 minutes long, sessions are at 6:30, 7:00, and 7:30. This time slot is 7:30-8:00 pm. Registration signs you up for the entire month. If you cannot make it to your tutoring appointment, please notify the library in advance at (732) 671-3700 ext. 340. Do not cancel through the online registration system as this will cancel all of your appointments for the month. 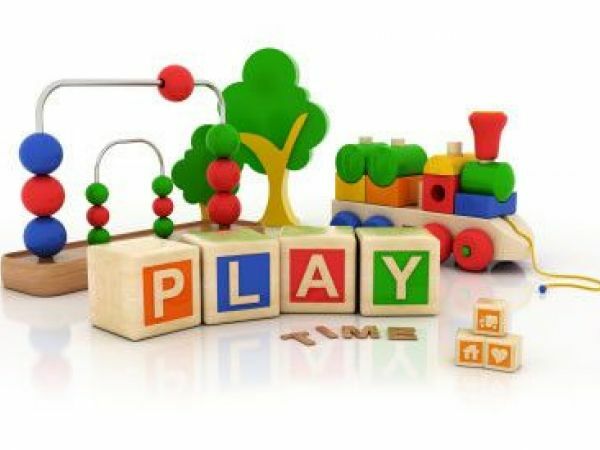 Come play with us at our all-ages playgroup that encourages children to explore hands-on activities & develop social skills. Grown-ups can chat & connect with other parents & caregivers while supervising their children's play. Please clean up after your children. Stop by to discuss problems you are having with your computer with the experts! This is a friendly group who enjoys playing scrabble. Knitters are at all level of experience. All are welcome to join. No experience necessary. Based on demand, we are doing a French Intermediate Class! For 8 weeks, we will be going over Intermediate French with our service called Pronunciator. Please register in advance as seating is limited. Online registration begins on February 19th and classes will begin on March 19th. Need help with Math? Sign up for a free tutor on Monday nights at the library in the Children's Quiet Reading Area. Bring your math work with you, textbook and/or homework. Tutors are high school honor students. Tutoring is for students in grades K-12 only. Each tutoring session is 30 minutes long, sessions are at 3:30, 4:00, and 4:30. This time slot is 3:30-4:00pm. Registration signs you up for the entire month. If you cannot make it to your tutoring appointment, please notify the library in advance at (732) 671-3700 ext. 340. Do not cancel through the online registration system as this will cancel all of your appointments for the month. Need help with Math? Sign up for a free tutor on Monday nights at the library in the Children's Quiet Reading Area. Bring your math work with you, textbook and/or homework. Tutors are high school honor students. Tutoring is for students in grades K-12 only. Each tutoring session is 30 minutes long, sessions are at 3:30, 4:00, and 4:30. This time slot is 4:00-4:30 pm. Registration signs you up for the entire month. If you cannot make it to your tutoring appointment, please notify the library in advance at (732) 671-3700 ext. 340. Do not cancel through the online registration system as this will cancel all of your appointments for the month.